Finding tropical houseplants that flower in the winter is a little bit more difficult because of all the natural elements of growth that typical plants require in order to grow. In other words, it is hard enough to get flowering outdoor plants in the winter time; to find indoor flowering plants is a lot more challenging! More challenging, but not impossible. 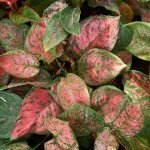 Tropical houseplants with nothing more than foliage are much easier to keep looking attractive all year long. Thus it is important to keep in mind that flowering plants usually require more light and attention in order to bloom successfully. 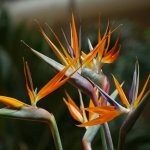 Below is a list of tropical flowering houseplants that have the ability to bloom in the winter time. Spathiphyllum (Peace Lily) â€“ The Peace Lily is a delicate plant that cannot be left in direct sunlight for too long. If this plant is left outdoors or too closely to a window for any long period of time, its delicate leaves will become burnt. The most important thing to remember when caring for a Spathiphyllum is to water the plant when it needs it. 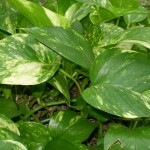 The Spathiphyllum has a sort of hyperactive reaction to low moisture levels. 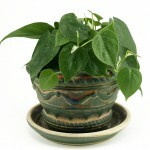 When the plant does not have enough water it will wilt quickly and dramatically. Many owners will actually think that the plant has died. All you need do is re-hydrate the plant, and it will become revitalized. Just be careful that you do not allow the plant to remain in a constant soggy state, as the result of doing so could be rotting of the roots. 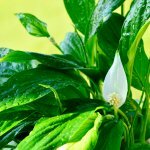 The Peace Lily is often recognized as a plant that is actually ideal for funerals both because of its ability to survive indoors all year round and its white flower. The Spathiphyllum bloom is technically a flower-like bract which is actually called a spathe. Nonetheless, this technicality does not steer away tropical indoor flowering plant growers. Saintpaulia ionantha (African violet) â€“ The Saintpaulia ionantha is arguably the most popular of flowering house plants because they bloom year round. The African violet needs little more than fertile soil and diffused light if it is to thrive. However, there is a trick to make sure that this plant flowers. You must grow the African violet in a south or west exposure from November to February and an east or north exposure for the remainder of the year. This smart plant will actually let you know if it is getting enough sunlight. If the African violet needs more light, it will lift up its leaves in an effort to absorb more sunlight. This plant will not flower as readily if it is not potted correctly, so make sure that the pot that you have it in is not too large and that you have not re-potted the plant too quickly. Begonias â€“ This flowering tropical houseplant needs to be pinched or pruned back occasionally to maintain compact, bushy growth if it is to flower nicely. Episcias â€“ Episcias flower in medium light. Because the leaves of this tropical houseplant are fine, they do not need as much watering and therefore do better in well-drained soil. Impatiens sultanii (patience plant) â€“ The patience plant will bloom year round. This plant gets its name because it is patient with its owner’s negligence. Even if the patience plant does not receive full light, watering will be enough for it to grow.